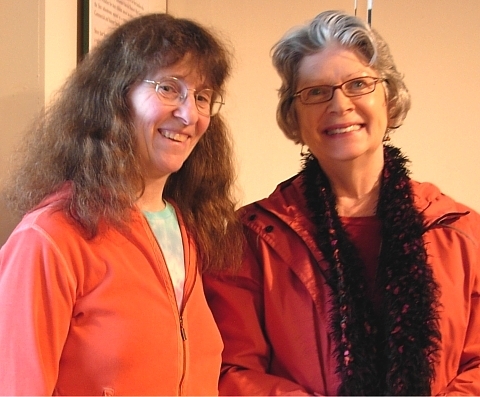 Kim Goldberg & Mary Ann Moore (right) at Nanaimo’s Mayworks Poetry Festival 2011. 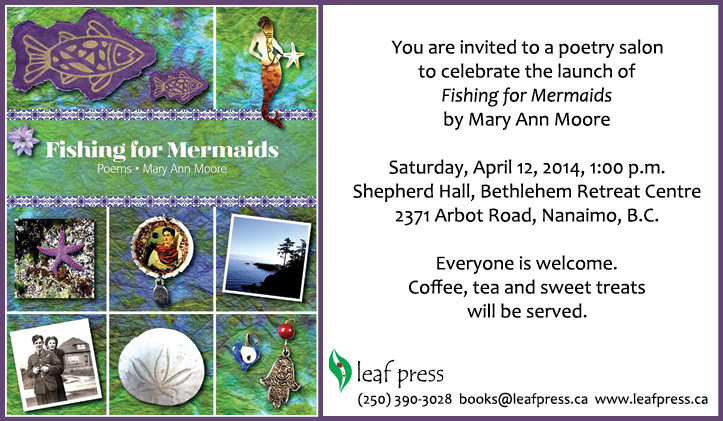 My friend and colleague Mary Ann Moore will be launching her first full-length poetry collection, Fishing for Mermaids, on Saturday, April 12, 2014 at 1:00 pm at the Bethlehem Retreat Centre in Nanaimo (2371 Arbot Road). All welcome! Please join Mary Ann in ushering her new book into the world. Coffee, tea and sweet treats will be served. Fishing for Mermaids is published by Leaf Press. This entry was posted in Books, Events, Poetry and tagged BC poets, Bethlehem Retreat Centre, Canadian poets, Fishing for Mermaids, Leaf Press, Mary Ann Moore, Nanaimo, National Poetry Month. Bookmark the permalink. Thanks Kim! It’s all very exciting and I’m so grateful to be part of our poets’ community in Nanaimo. You’re such an inspiration! I’m looking forward to your launch, mary ann! and how nice that you are holding it at Bethlehem.